Inter and ?Manchester United are both in the hunt for Arturo Vidal’s signature after ?Bayern Munich granted the midfielder permission to leave the club this summer, according to reports. Vidal, 31, is one of nine central midfield players on Bayern’s books and speculation over his future intensified after he was left out of the club’s pre-season squad for their tour of the United States earlier this week. According to Chilean publication ?emol, Vidal’s agent Fernando Felicevichm is already in Munich for negotiations after both Inter and United expressed an interest in his services following news of his uncertain future with the Bundesliga giants. Felicevich is the same agent who orchestrated Alexis Sanchez’s move from Arsenal to Old Trafford earlier this year. The Nerazzurri are known to be eager to bolster their midfield ranks and have recently been ?linked with making an official offer for the Chile international, while United remain in the hunt for reinforcements to compete across four competitions. The report clams the Chile international’s representatives expect developments over a move to transpire over the coming week. 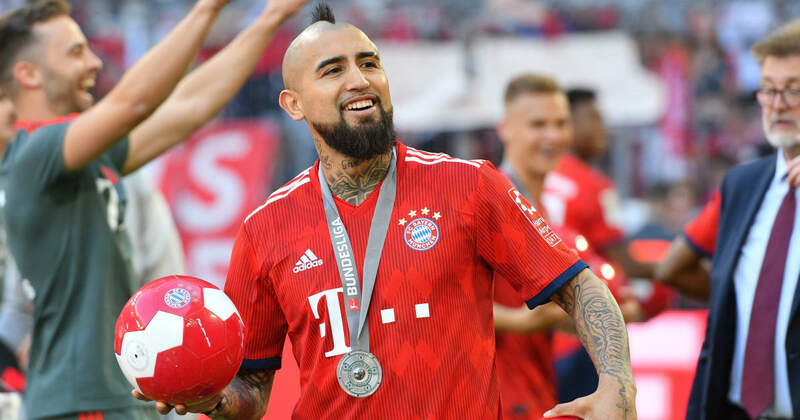 Vidal – who has helped lift six pieces of silverware with the club – made just 17 league starts for Bayern last season after a series of injuries disrupted his third campaign with German outfit.